Whether you’re a gamer or an otaku, this weekend (August 18 – 20) might be the nerdiest weekend to hit New York City until New York City Comic Con or Anime NYC. I’ll be there and shall be instagramming and tweeting throughout both events. Honestly, I’m super excited. With Pax West around the corner, I’m looking forward to a weekend of geekiness in my own backyard. If you’re free this weekend and looking for something to do, I’d recommend checking out either event. PLAY NYC is New York’s first and only dedicated games convention for creators and players alike. Featuring the latest releases from studios large and small, and from developers old and new, PLAY NYC celebrates every facet of gaming in a way that only the Big Apple can. 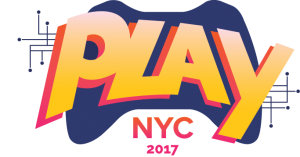 On August 19-20, 2017, PLAY NYC is bringing two packed days and nights of games, panels and networking events to New York’s landmark concert venue, Terminal 5 – uniting developers, players, and industry pros at a games event like no other. Liberty City Anime Con is the largest anime convention in New York City, and is run by-fans and for-fans. Run by dedicated anime fans, our aim is to offer you the largest, most memorable event to ever hit the big apple. First held in 2015, LCAC has grown spectacularly every year, and is now the biggest and best convention for anime fans in New York.